Whether you’re a school leaver who is thinking about your next steps or an adult who wants to develop new career enhancing skills, at South Staffordshire College you don’t just follow your passion, you become an expert in it. With campuses in Lichfield, Tamworth and Rodbaston, South Staffordshire College offer opportunities from entry level to university level; Apprenticeships to HNDs, Diplomas to BA (Hons) Degrees, you can gain the qualifications and hands-on experience for a rewarding career in thriving industries. Adults can also study part-time and with an impressive range of online distance learning courses and short courses, reaching your destination has never been easier. 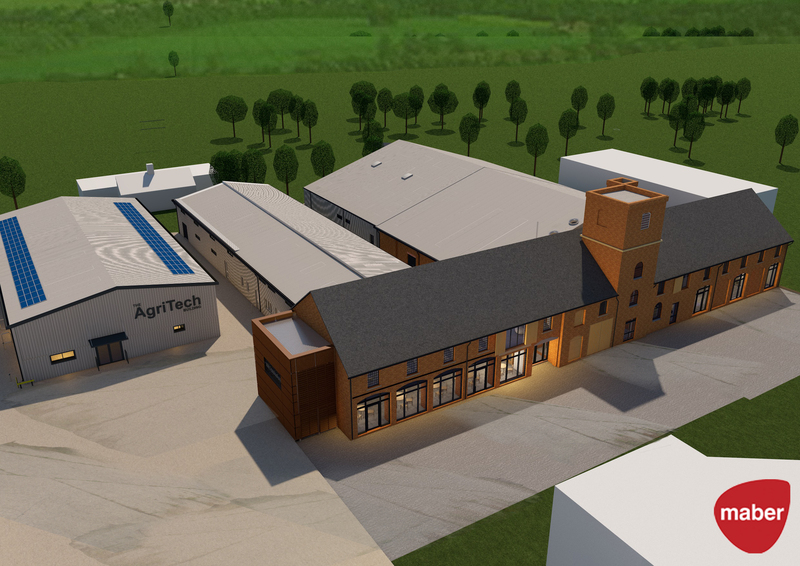 Artists Impressions of completed South Staffordshire College AgriSTEM Academy. Located in 180 hectares of rural Staffordshire in Penkridge, Rodbaston Campus is home to specialist land based facilities including a working farm, equestrian centre, zoo and the AgriSTEM Academy. The go-to place for those who want to pursue careers in the land based industries, learners benefit from studying in an engaging environment that is ideally suited to practical skills development in Agriculture, Animal Care, Horse Management, Countryside Management, Floristry, Horticulture and more. The AgriSTEM Academy provides unique training opportunities in agricultural engineering, land based technology, engineering technologies, motorsport, motor vehicle and construction. Home to Agricultural Engineering, Automotive/Hybrid Engineering workshops and an AgriTech precision farming simulation lab. Learners have access to industry standard equipment to enhance their learning experience. In addition to the extensive land based offer at Rodbaston Campus, South Staffordshire College also offer a diverse range of opportunities at their Tamworth, Torc and Lichfield Campuses. Ideal for those who want to pursue a career in the creative industries, the Lichfield Campus is home to facilities including photography studios, film and television and music production studios, dance studios and ‘The Wedge’ art gallery. From digital games production and creative media to performing arts and art and design, the campus is a hive of creative activity. Tamworth provides learners with a wide range of choices in subjects including business and IT, accountancy, engineering technologies, sport, public services, health and social care, hair and beauty and more. At Tamworth, you’ll find an advanced manufacturing and engineering (AME) hub, commercial hair and beauty salons and restaurant, motor vehicle workshops, nursery and gym. Located in Tamworth and with specialist workshops and facilities for carpentry, electrical installation, bricklaying and multi-skills, Torc is the ideal training venue for those who want a career in the construction industries. Whatever you’ve set your sights on, with South Staffordshire College, signing up is easy, fast and hassle-free. Visit www.southstaffs.ac.uk or call our dedicated team on 0300 456 2424. To find out more about life @southstaffs, why not visit the College’s Open Events. The open events are the ideal opportunity to explore the campus and discuss your options! The first land based free school in England, the Rural Enterprise Academy caters for pupils from Year 9 onwards. Located on the rural Rodbaston Estate in Penkridge, the Academy is supported by South Staffordshire College, The National Farmers Union (NFU) and Veolia. Rated ‘Good’ by Ofsted at their last inspection, The Academy opened its doors in response to demand from both the local community and businesses, who recognise the need to train young people for careers in the land based sectors. 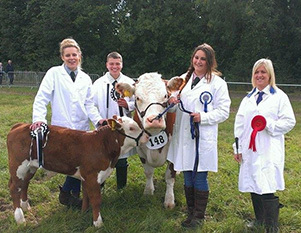 The Rural Enterprise Academy provides pupils with a unique opportunity to blend traditional GCSE subjects with vocational qualifications in subjects such as Agriculture, Animal Care and Horse Management. To further enhance their learning, pupils at the Academy benefit also benefit from the latest Google technologies, which gives them split second access to the internet and the ability to collaborate in real-time. Applications for September 2018 are still being accepted and those interested in finding out more can visit the Academy Open Events, or call the Academy to arrange a tour.